SAN JOSE, Calif. – Students don’t usually get to design their own high schools. Neither do parents or community members who lack experience in education. But, in what could become a national model, all of these people have been asked to weigh in on the plan for a new high school in San Jose, Calif.
That’s because the school, soon to be the first high school in the Alpha Public Schools charter network, is using a process called “design thinking,” which puts the user’s needs first. In this case, the users will be students and parents. “Every community is unique and presents unique assets and unique challenges and we needed to be ready to leverage those assets and address those challenges,” said Will Eden, who will be the principal of Alpha: Cindy Avitia High School. Design thinking is a method of problem solving developed largely by Stanford University professors who sought to codify a product design process that emphasized creative solutions to meet users’ needs. Since its conception under the tiled roofs of Stanford, the idea has spread across the country and across disciplines. Eden first heard about design thinking in an undergraduate class on urban planning at the University of Virginia. As a teacher, he used the process with his students to develop a disciplinary system that made sense to them. When he was hired to launch Alpha’s first high school, in the heart of Silicon Valley, he decided to apply design thinking to the entire process. “I heard it’s never been used for a whole high school,” he said. Observe the current status quo. Sketch or build a model of a rough plan. In San Jose, Eden said following the process meant conducting dozens of student and parent interviews, holding extended discussions on how to define the problems with current high school offerings in the neighborhood, brainstorming long lists of possible solutions and, finally, pulling all that work together into a cohesive plan that will, it is hoped, successfully educate the school’s inaugural class of ninth graders next school year. 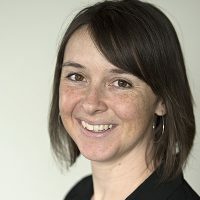 Using design thinking to solve education problems may not come naturally, said Susie Wise, director of the K12 Lab at the Hasso Plattner Institute of Design at Stanford, known on campus as the d.school. “Education is not that nimble,” Wise said. But she thinks it can be. Wise said she and her team at the d.school’s K12 Lab, which focuses on helping teachers apply design thinking in their classrooms, were already experimenting with the idea of expanding this training to school leaders when they heard about Eden’s school design project. Intrigued, Wise invited Eden to participate in a one-day d.school seminar for school leaders that her team conducted last October. Wise said Eden’s participation in the seminar may have helped the other Bay Area school leaders in attendance more than it helped him. He was already a year into his two-year planning process for Cindy Avitia High School, so he was able to explain to other principals how the somewhat esoteric methods of design thinking could be applied to real life issues at schools. Wise was so pleased with the response she received from school leaders at the October seminar, and at a few other one-day seminars held at the d.school, that she’s now expanding the program. A three-month fellowship, dubbed “School Retool” will launch this month with 20 Bay Area principals. The idea is to help leaders change the way their schools operate by making small, transformative changes, called “hacks” in d.school parlance, without overhauling the whole system at once—something Wise sees far too often. “[Principals] start to create these huge programs and we’re like, ‘No, no, what could you do next week?’” Wise said. Gloria Sermeno, parent in East San Jose, Calif.
For example, one middle school principal who attended the seminars wanted to hear more student voices on campus, not just those of the kids on the student council. Rather than create a new student association or attempt to survey all of her students or some other “huge program,” she tried a hack. The principal asked a random selection of students from different social groups to join her for snacks and a movie after school, Wise said. Conversation flowed naturally after that. The next day, a student who had attended came to the principal and asked for help improving study habits — something the principal told Wise wouldn’t have happened otherwise. Principals participating in the upcoming School Retool fellowship will meet at the K12 Lab for five days of training and collaboration over the course of the program. In the meantime, they’ll be putting their new hacks into practice at their schools. If it’s a success, Wise said she will consider expanding again, to a national program with locally funded fellowships for regional groups of principals. Eden said the most powerful part of the process was the early effort he and his team made to understand where local students and parents were coming from. Before making any plans about how the San Jose high school would be run, the design team interviewed 80 community members about what they needed from a neighborhood high school. 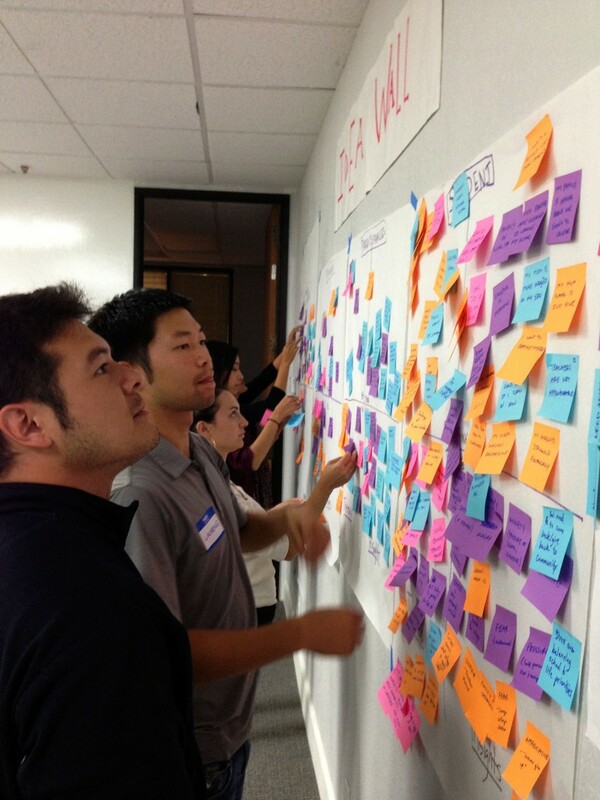 80 – Number of community interviews conducted to prepare a design for a brand new charter high school in San Jose, California. Gloria Sermeno, a member of the design team and the mother of an eighth grader at one of Alpha’s middle schools, said this was an opportunity for parents and others to talk openly about problems. Sermeno was one of a group of parents who petitioned in 2010 for the Alpha middle schools as an alternative to the traditional public school available in her low-income, largely Hispanic neighborhood. 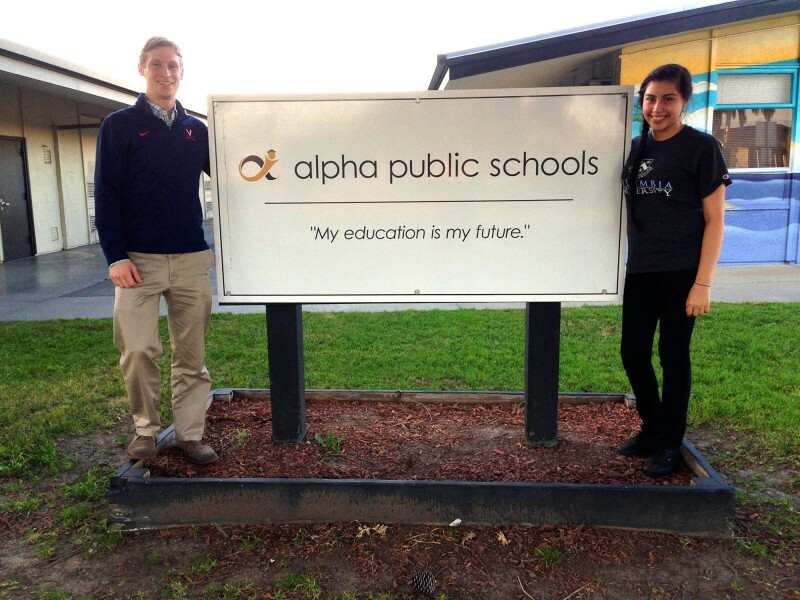 The first Alpha school opened in 2012 with a focus on blended learning, using digital and online media in the classroom. Set to open at the beginning of the 2015-2016 school year, Cindy Avitia High will be the first high school in the Alpha charter network. Related: What exactly does blended learning look like? Eden said he wasn’t surprised to hear in design team discussions that getting kids to attend and then stick with college was an issue. But he was surprised to find out he didn’t really understand the crux of the problem as local parents understood it. For one thing, it turned out many parents completely misunderstood what their children needed to accomplish in high school to qualify for a state college or university. A shortage of high school counselors in California has resulted in many students completing high school without sufficient credits to move on to college, often to the bewilderment of their parents. Eden and his team realized offering families a few sessions that explain financial aid options for college would not be enough. Parents and families need support earlier, and more of it. That realization led to the creation of the Cindy Avitia High School Parent Center, which will provide parents with information on things like required credits and financial aid forms, as well as guidance on how to deal with the sudden physical separation from their children. The center is to be staffed primarily by parent volunteers who understand the process and can help teach other parents how to help their children navigate the system. Related: Getting kids into college is one thing. Getting them through is another. The details of how the parent center will work are still being hammered out, but that’s part of the process. With design thinking, the goal is to try things that might work on a small scale and then quickly ditch the ideas that don’t work. Ana Wallace, senior at Summit High School in San Jose, Calif.
Charter schools have often been slammed for using similar small-change processes. Some educators argue the frequent changes can be disruptive for students, who can start to feel like lab rats. Ana Wallace, a student member of the Alpha design team who attended school in a different charter system, said she wouldn’t use that term exactly, but she knows what it’s like to be “experimented” on. “I saw what didn’t work and what was working at my school because they were basically trying out all these different models on us,” Wallace said. Wallace, 18, is too old to have attended an Alpha middle school. She’s a senior at a nearby Summit Academy charter school. Wallace said that despite the rough start, she’s loved her time at Summit and, overall, feels she’s received a strong education. Her brother Jesus, 13, now attends an Alpha middle school; Wallace is glad she can contribute her thoughts on how his high school should be run.